Occasionally, there comes a novel which wakes up the readership. 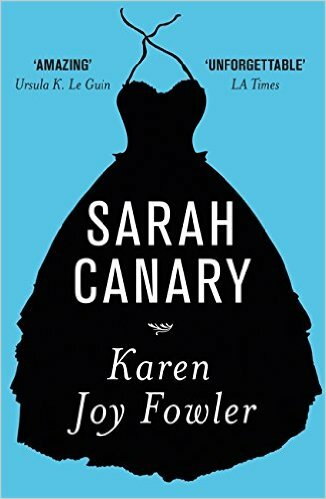 Sarah Canary was Karen Joy Fowler’s debut novel, first published in 1991 and it was unconventional from the first page. It is set in 1873 at a time when the railroads were pushing west across the USA. Many of the workers laying the rails were Chinese. The novel opens with a woman, seemingly in a distressed condition, stumbling into a camp of Chinese railway workers. Since she is white, the worry is that they will be accused of molesting her so Chin’s uncle tells him to take the woman to an asylum in the town of Steilacoom. The problem he has is that this woman doesn’t want to be led anywhere and it is all Chin can do to make her go in the right direction. He begins to wonder if the gods have sent her to test him, in which case she would be an immortal. During the journey, Chin is afraid Indians will find and kill them, especially when the woman begins to make noises. She doesn’t talk, just makes sounds. He hits her to make her quiet. Next thing he is aware of is that he is in a cell with an Indian who is due to be hung for killing a Chinaman. He’s given the choice of actually executing the Indian or being hung himself. Released, Chin goes to seek work at the asylum where the woman has been taken. There he learns that they have named her Sarah Canary because she apparently has a nice singing voice. Here he meets BJ, one of the inmates. The guards at the asylum are cruel, especially to the women inmates and Chin feels a responsibility towards Sarah. He escapes with her and BJ. So begins a series of bizarre adventures around the rough townships of Washington State. 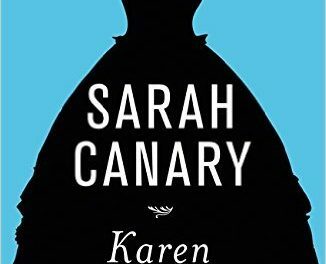 Within this novel, Sarah Canary is a catalyst rather than a participating protagonist. Events happen because and around her while she is oblivious to the effect she creates.The reader would probably recognise her as someone with a mental illness, though whether this is a result of previous events or a birth defect, is never known. The people whose paths she crosses see her as different things. As a result, this is a novel about our perceptions and the way we make the facts fit the truth we want to recognise. No-one, except perhaps Chin, comes out of the events well. He is on a journey of discovery, though at the end, he is not sure what he has discovered. It is the choices that Fowler, as story-teller, that make this book outstanding. Her main characters are a poor, Chinese railway worker, a mental patient and a woman who is an enigma. None of these are the norms that most writers begin with. Most of the white, male, Americans are not portrayed in a good light. Whether this book could be classed as fantasy is a moot point. It has elements of fairy-tale in its telling and mysteries are unresolved. Nevertheless, this is a book that is well worth reading.